You can see the presence of LeadPages all over the LeapFroggr website. It just enables us to produce quality pages and forms in the shortest amount of time needed. A lot of us run sites that need landing pages, squeeze pages, newsletter sign-up boxes, and other conversion tools that help us get leads that we want. Unfortunately, most of these tools require coding ability and design experience—and those are things not all of us can supply (or not easily). What is it? Briefly, LeadPages is to lead acquisition tools what Piktochart is to infographics. But with an important difference: LeadPages doesn’t have a free option. Still, both are very easy to use, have professional-looking UIs, offer free templates, and churn out Web-publisher-ready graphics in a flash. You can save yourself literal hours of work with both apps. Who doesn’t want that? Probably people who won’t want to pay for that convenience, of course. LeadPages has a cost. One might wonder why people would want to pay for it when other landing page creation apps are out there—and some are even free. But few if any of those apps can compare to its ease of use. Most of them also can’t provide the same features or benefits. And most of them simply won’t give you the same conversion rate; it’s remarkably high for creations based on the LeadPages templates. Whether or not that justifies its cost ($25/month for Standard Annual, $49/month for Pro Annual, $199/month for Advanced Annual)… Well, you can decide that after finding out exactly what the app offers. The Experience: What’s It Like? LeadPages uses a grid-based layout. After logging in, you see a screen with icons in nicely spaced rows and columns. At the top row are all the main selections as icons with titles. Don’t know what an icon’s title means? There are one-sentence definitions appearing in a bar below the row. Need more help? The question mark denoting Support/Help is one of the icons on that row, so you can’t miss it. Further rows appear based on which of the top ones you select. There’s a logical sense of options unfolding downwards as you go. Having Templates selected displays template categories, then the rrows of templates with thumbnail previews, for example. It also shows template categories. Putting together your creations is similarly straightforward. Instant graphic elements are supplied with easy options for customization. Everything is drag and drop and what you see is what you get. 1. Ease of use – Here’ the thing: LeadPages is hilariously easy to use. Think: you’d-have-to-be-so-drunk-you-can’t- find-your-nose easy to use. The grid style means there’s no need for your gaze to meander around the page looking for stuff. 2. Has a WordPress plugin – Not all of us use WordPress, but it’s nice to have this option for those who do. Even if you use another blogging platform, the app also supplies formatted HTML for your creations. 3. WYSIWYG editor – Not only is this easy to use, it’s also blazing fast. You can push out an attractive (and more importantly, effective) lead page in just a few minutes. There’s no coding to trip you up and no Photoshop-steep learning curve. 4. Ability to sort templates by conversion rate – It’s one of the app’s best features. There’s nothing to guarantee you’ll get the same conversion rates when you use a particular template, of course, but it’s nice to be able to get an idea of what to expect. What’s even nicer about it is that LeadPages often delivers. Most of the free templates really are as effective as the app claims they are. 5. Can be used on as many websites as you like – There’s no charge here for using the app on more than a handful of domains, unlike with other similar apps. 6. A/B Testing – We marketers love our split testing. Fortunately, LeadPages indulges that love by offering tools for it. 7. Integrated analytics – No need to call on Google’s tool or some other third party here. LeadPages offers analytics for subscriptions and performance. 8. Easy email marketing tool integration – A good number of the popular email marketing services are supported by the site, from AWeber to MailChimp. 9. Multimedia support – The site may not have its own video player, but it allows you to use third parties like YouTube and Vimeo to add a video to your lead page. Other media are even easier. 10. Easy and quick publication – LeadPages offers you multiple options for publishing your creations, from having them hosted on their servers to adding them as tabs on your Facebook page. Most of its competitors are actually quite limited here, by comparison. 11. A TON of new updates and features since we last did this review. You can even accept payments now directly on the landing page you make. 1. It could be a little cheaper – The current cost now isn’t all that bad, really. Still, it would be great if the Pro version were a little bit cheaper still. Or, at the very least, the app could allow you to upload custom templates free of charge. 2. A little more flexibility in design – It’s true that most people like LeadPages for its simplicity, which is partly achieved by the rigidity of its templates, but it would be nice to get more customization options with them. The templates are great as they are, but sometimes you just really want to move an element around on a page, and LeadPages prevents that. Since you have to pay to add a customized template, as we already mentioned, this can be a headache. The Verdict: Who Needs to Get It? 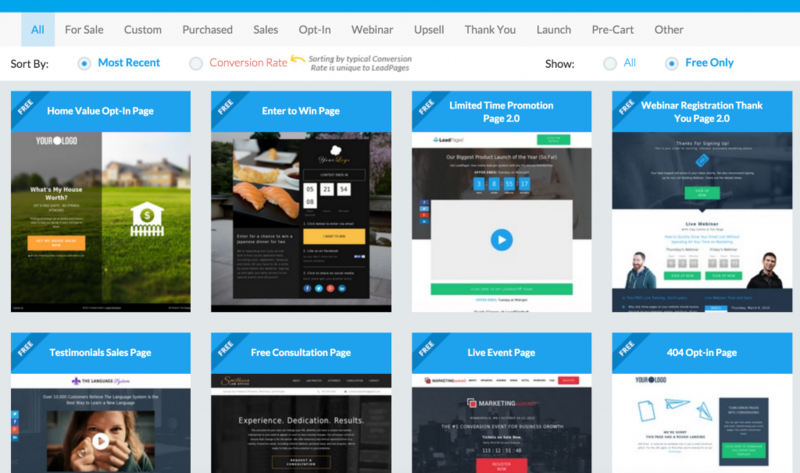 All in all, LeadPages is one of the better tools for landing page creators. Is it the best one? 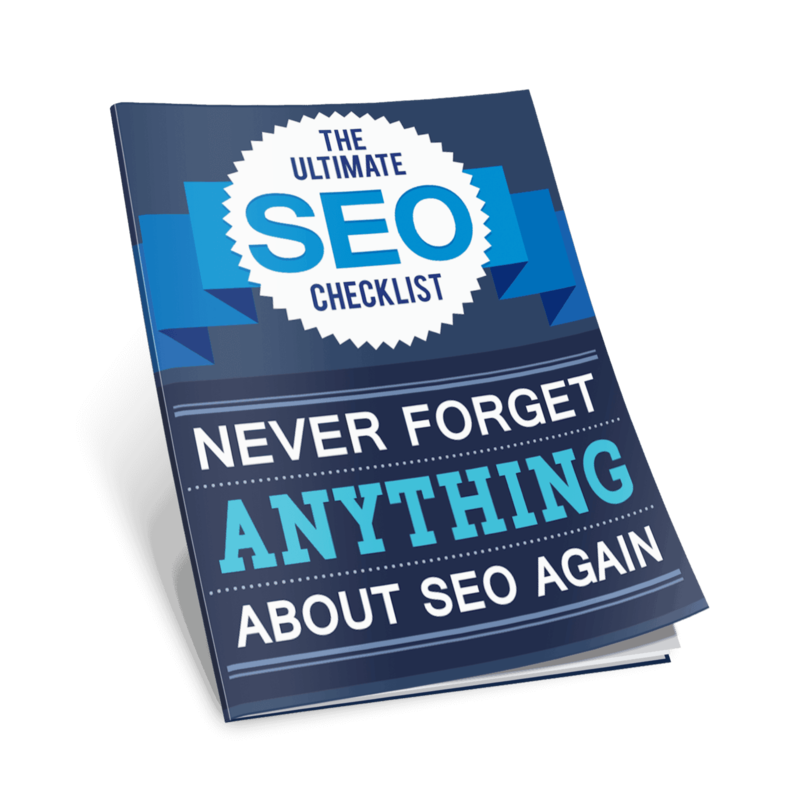 For me, it is as it has brought me a lot of traffic, leads an clients with minimal work. At the end of the day, it still depends on you. If you like high efficiency and simplicity in your lead page creation process—if you want to deal with a minimum of or even zero coding for them—if you want to produce fantastic-looking stuff without a need to hire a design professional, this may be the right tool. Only adding to its core virtues are the facts that there need be no lengthy setup times for adding analytics or tracking tools or your own leadbox hosting. As most business owners—especially small business owners—are often short on time and people to delegate to tasks like leadbox generation or coding, LeadPages could be one of the best tools they can add to their arsenals. This powerful little app can drastically improve their lead-collection while also cutting down the amount of time spent on lead page production. In short, if time and effort are valuable to you, LeadPages may well pay for the cost of its subscription several times over.